Samsung has officially announced the Galaxy Ace 3 release date for the UK, with the phone available from 5 October. The Android Jellybean 4.2 phone falls in the lower mid-range market and can boast 4G connectivity - which is a boon in these superfast days. You can count on Samsung's Android sheen plus features from the larger Galaxy S flagship phones - which includes features like the S Translator, S Travel, S Voice, Easy Mode and Smart Stay. Given that this is likely to be an attractive proposition for the younger market, the camera is an, ahem, focus, and the Ace 3 brings a 5MP snapper for capturing all those high jinx and/or shenanigans. Screenwise, the Ace 3 packs a 4 inch display but you might want to consider if the 8GB of storage is enough for your needs (especially given that not all of that will be available to you) as you'll probably be looking at investing in an SD card to boost your capacity. 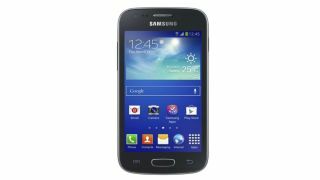 The Galaxy Ace will be landing first at EE stores and then dealing itself into the likes of Tesco and Carphone Warehouse.